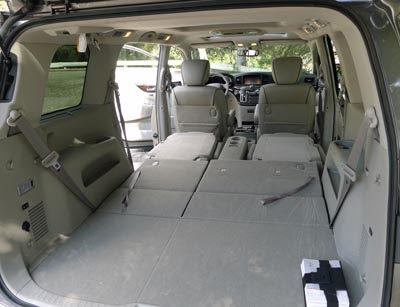 The Quest was never a popular option among Minivan buyers. And it seems to be a trend with the current design. I have only seen a couple on the road since they came out. 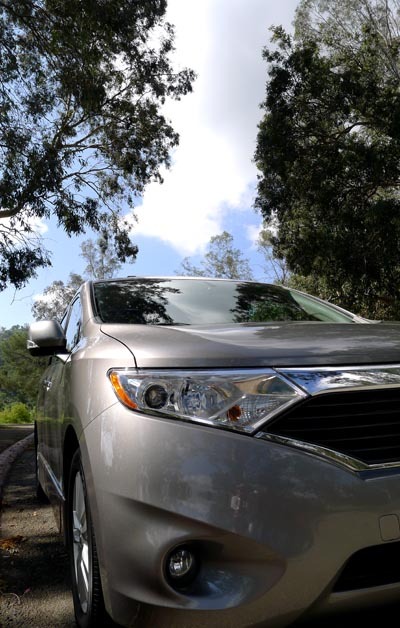 While the redesigned Honda and Toyota Minivans are everywhere. For this one, Nissan took a more boxy approach. Also giving it a more upscale look than before. 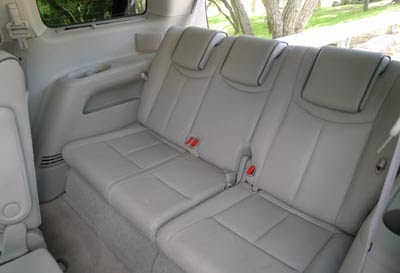 Seating is very comfortable and roomy everywhere. The front seats are some of the best I have experienced, as far as pure comfort goes. The loaded LE model I was driving was very well finished everywhere, using very good quality plastics. Everything feels very solid and refined. The Bose stereo sounds great. 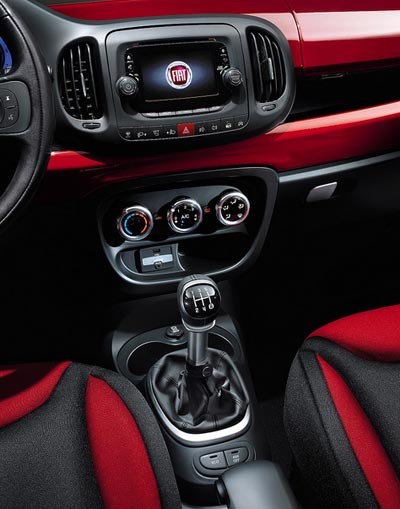 But some of its controls are hidden from the driver when the shifter in in the D position. There is a lot of room back there, even with all the seats up. And it is, of course, huge when they are all folded down. Which is very easy and quick to do. 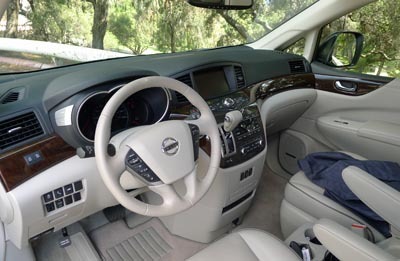 The Quest uses the great 3.5 Liter V6 found in many Nissans and almost all Infiniti models. And it is as good in the Quest as in all these other cars. Thanks, in part, to the CVT, it is rated at 19/24MPG. The best I did in the city was 18, but I reached over 27 on the Highway. 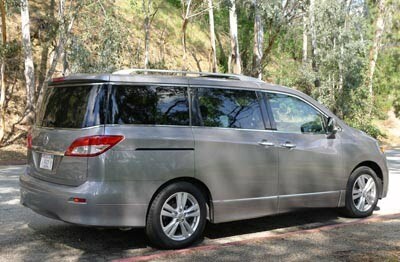 Which is really not bad for something that can carry 7 people in such comfort. 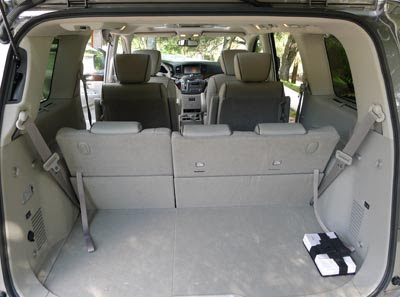 Most 5 seater SUVs/Crossovers with a V6 don't do that well. The steering is very precise on the highway. Almost surprisingly so. And it has quite a bit of effort built into it. Which feels very nice. The CVT works very well. 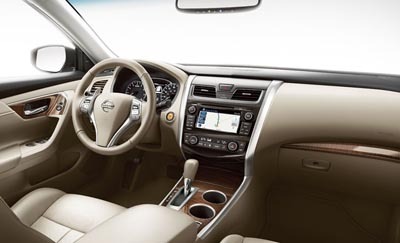 Being just a little bit less responsive than in the Maxima. One of the best thing driving the Quest is the amazingly short turning radius. Which makes it really easy to drive around town, and park. Handling felt pretty lumpy at first. 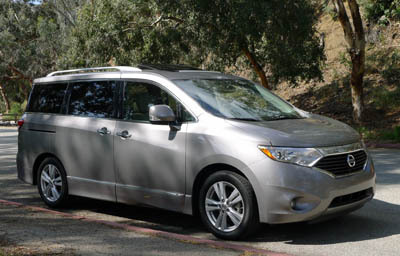 But I am not really used to drive minivans. And it felt much better and secure after a couple of days. These aren't sports car. They aren't even regular cars, really. The Quest is not for everyone, I guess. I don't think it looks worse than any other, but that is of course a mater of taste. 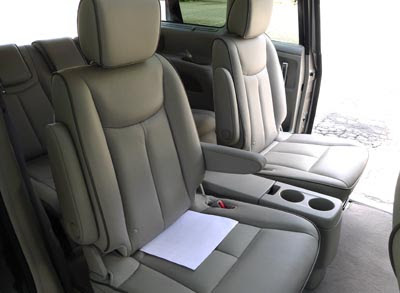 It is a very smooth, quiet and comfortable way to drive the family around. Mileage isn't bad for a car like this. But, it is quite expensive. My loaded top of the like LE model was almost $44 000. Which seems crazy. Until you check out the competition . Where a loaded Chrysler Town & Country is about $43 000! Interesting how they sold this car. Value, value value. No mention of how good it is. As long as it's cheaper than the competition. The RAV4 is definitely due for a redesign. The current model is now 7 years old. And everything in that segment is newer. And much better looking. But it does match the recent spy shots we've seen of the real thing. I wouldn't bet on the big 3.5 Liter V6 returning for next year. Seems that everything that size is going 4 cylinder only these days. But... 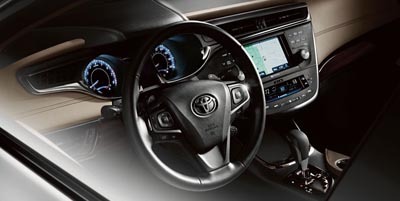 They still offer the V6 in the 2012 Camry while most of the competition switched to Turbo 4s as an option. A Hybrid could be an option. While the Tesla powered Electric version is a sure thing. 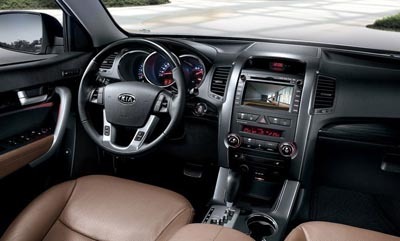 Kia will bring some changes to the Sorento for the new year. New front and rear ends. 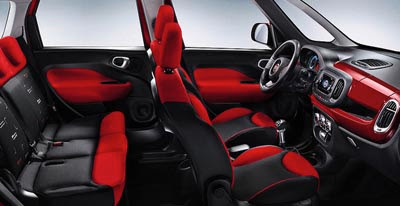 As well as this revised interior. It looks like the center console will be receiving most of the changes inside. the color pic is from the current model. I drove the Sorento last year and quite liked it. But also noticed the interior was a bit cheap. Especially for the high end model that was over $34 000. Just got a new Quest for a week. So, as usual, you can ask me anything you "need to know" about it. The one I am driving is a loaded LE version. 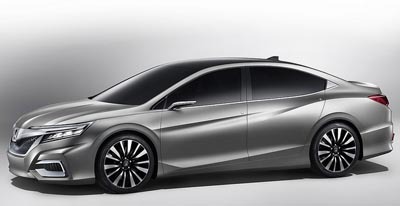 A few days ago, the teaser for this C Concept looked like it could be a preview of the next Honda Accord. 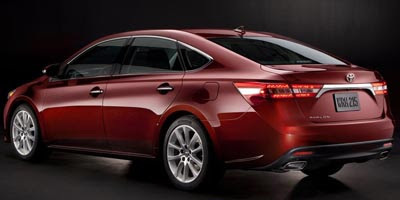 The general profile could be fine, but the horrific front and rear ends should never make it to a production model. It looks very.. well.. Chinese. Which, I guess, is fine since this concept is for the Chinese Auto Show. 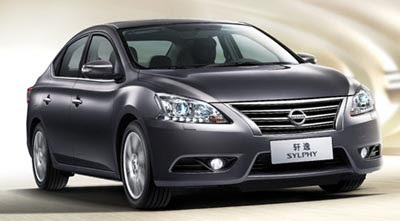 This is, technically, the new "Sylphy" for the Chinese market. But it will become the Sentra for the US in just a few months. 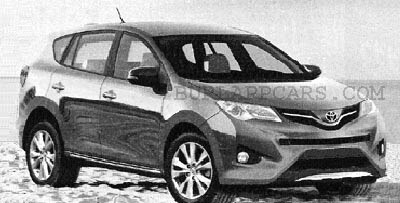 And it looks pretty much exactly like a cross between the new Altima and the Versa. 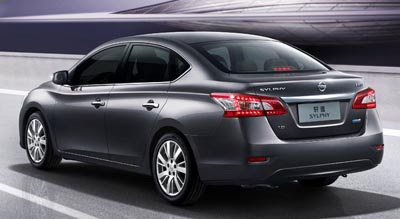 So now all Nissan sedans look almost the same. In different sizes. The conservative, almost old fashion, design might be a tough sale agains the Hyundai Elantra, Dodge Dart, and the upcoming Kia Forte. That came out earlier than I though. 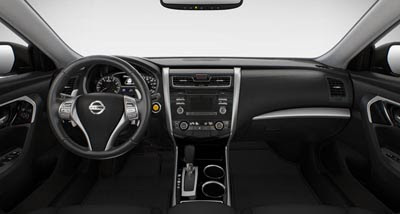 And pretty much looking like a smaller version of the new Altima. Which would be a huge improvement over the current "never really looked that good" model. 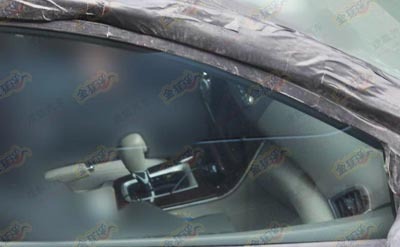 We will see a Chinese version of the car in a few days. This time we get to see the whole thing. Again, just a Fiat version of the new Dodge Dart. But the chrome here and there makes it look a bit more upscale. 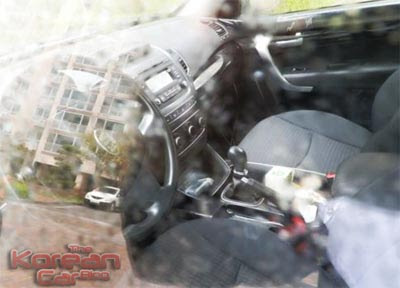 As far as I know, these are the 1st official pictures of the interior. 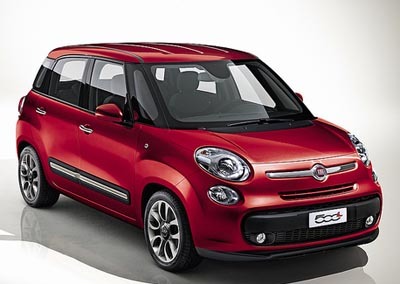 Again, this is not based on the Fiat 500. It is another car all together. 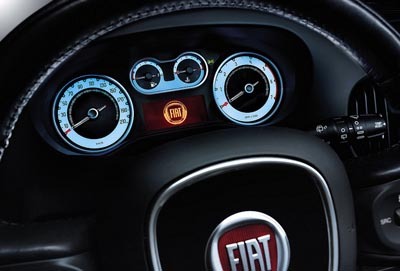 Even though the front end is designed to remind people of the 500, and it is actually called "500". These are just tricks to cash in on a popular name. 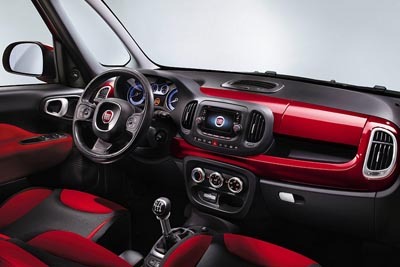 We will be getting a version of this car in the US. Which will be great news for local Fiat dealers who have, so far, had only one model to sell. Plus, a 4 door is generally a more popular choice among buyers. Engines, in the US at least, should mostly be various versions of the 1.4 Liter Turbo used in the 500 Abarth. 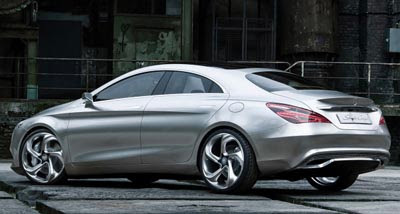 This concept is a preview of the upcoming small sedan based on the new A and B class models. You can especially tell from the interior where the concept is very similar to the hatchback version. Except it seats only 4. I am sure things will be toned down a bit for the production version, especially the wheels and lower front end. But in general, let's hope they leave it alone. This seems to be quite a good looking small sedan. Which will compete with a much more conservative Audi A3 Sedan, also coming to the US next year. It will start at $15 995 for the basic SE model. 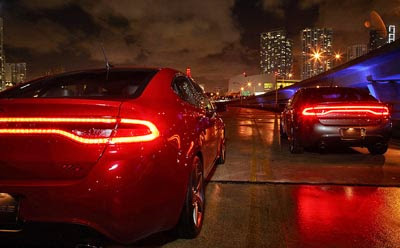 Which does include the cool LED tail lights you see on this picture. But not much more. Air is an option. And it goes all the way to $ 22 495 for the R/T model. In between there is the SXT for $17 995, the Rallye for $18 995 and the Limited for $19 995. This seems a bit of an overkill for me. One model every $1000. 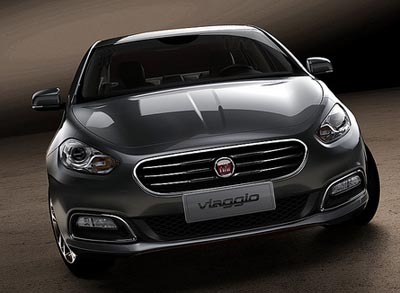 This is the Fiat version of our Dodge Dart. So far this will be for the Chinese market. 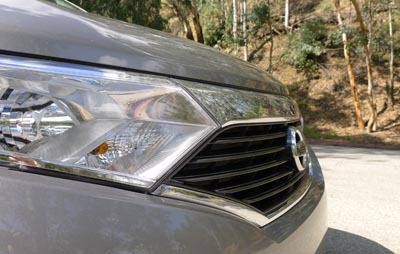 But just like the Dodge Journey/Fiat Freemont, it could very well end up in Europe as well. This is also one of the nicest looking car in its class. At least on photos. 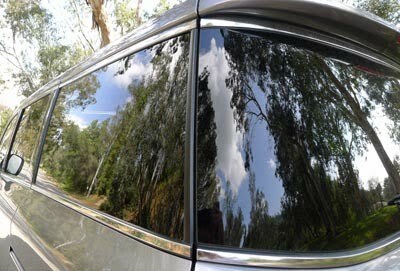 Actually an improvement on the current one, unlike the new Malibu. 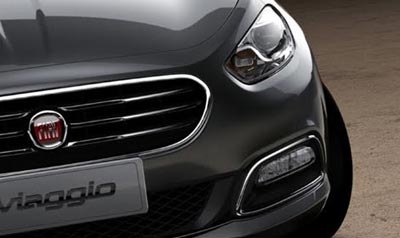 Starting at $22 500, it is not the cheapest mid-sized sedan out there. But its 27/37MPG rating is quite excellent. A loaded SL, still with the 2.5 Liter, is about $28 000. And if you pre-order one now, they'll throw in free maintenance fro 3 years. This should be quite a nice looking car. 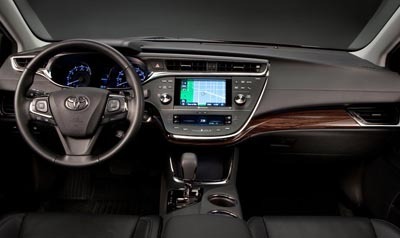 And the interior could be best in class. Looking really modern as well as luxurious. They still aren't mentioning an engine yet, but the good old 3.5 Liter V6 seems a sure bet. This should really be tough competition for the Lacrosse and Azera. And we'll have to see what Nissan decides to do with the next Maxima. 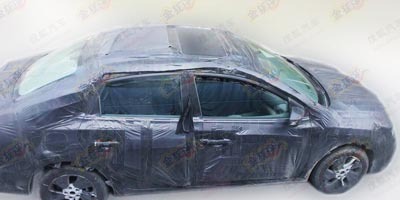 These are actually pictures of the next Nissan Bluebird, which has been related to our Sentra in the past. Nissan might consolidate these two models into one for the next generation. 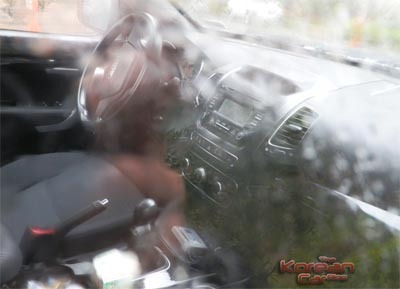 So these pictures could give us some clues about our next Sentra. We can't see much under all that camouflage. 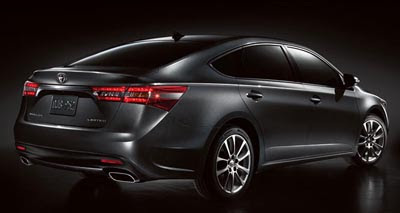 Still, at least from the proportions, it could look like a smaller 2013 Altima. 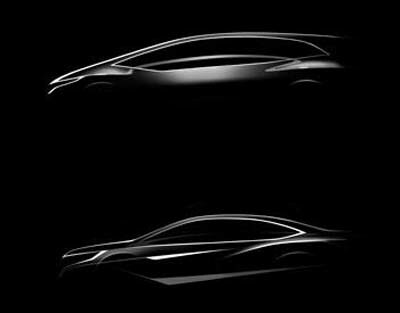 The Beijing auto show will get 2 new Honda concepts. To me, the one pictured on the bottom could be the new Accord. Why not. Not sure what the top one is. 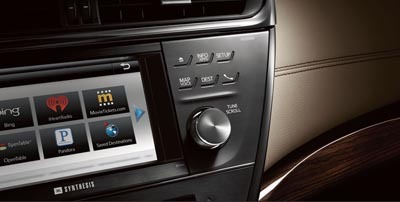 So far, the new 2012 3 series is not available as a diesel in the US. The previous one was, but BMW claimed the new 2.0 Liter Turbo is getting such good mileage, a diesel wouldn't make much sense in the US anymore. I guess. But now, the new 3 series is rated at 33MPG on the Highway. While BMW was hoping for a 36 MPG rating. I am pretty sure a modern diesel would have no problem getting at least 40. 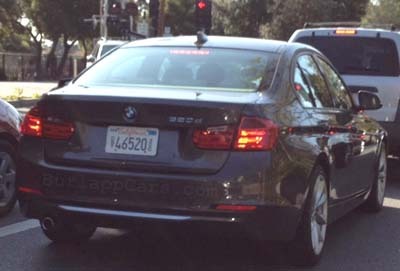 And from this picture, it looks like the 3 series diesel could return to the US for the 2013 model year. Looking really modern for 2013. 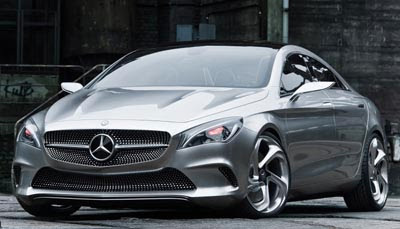 Now better suited to do battle with the LaCrosse and the new Azera. Pretty much the same recipe as before, in a much more attractive design. Which will probably work very well for Toyota.